THE 1ST "FEEL THIS IN MINUTES" ANABOLIC ENERGY RUSH! You've never built muscle like this before. Magnum Opus® creates an anabolic firestorm, causing incredible muscle growth. This groundbreaking formula sends strength levels off the charts by increasing blood flow and hydration of your muscles. Opus® lets you break through barriers by supercharging your energy levels, delaying fatigue and pushing muscle performance. You'll feel it working instantly. 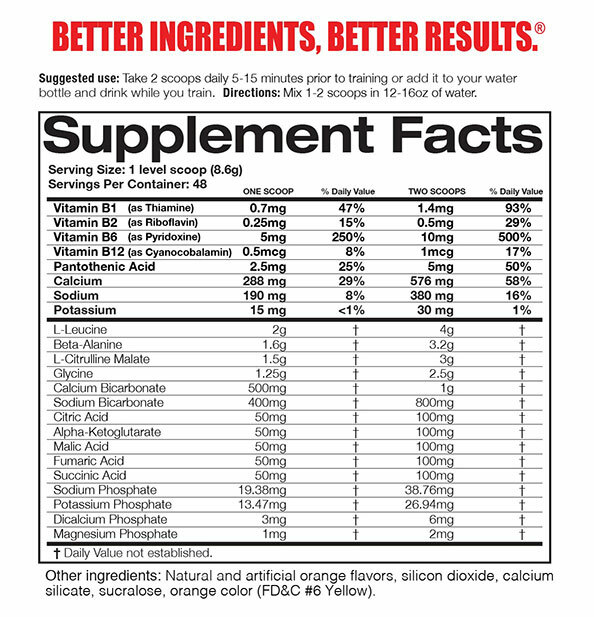 It offers 16 of the most powerful and scientifically proven performance ingredients in the full clinical doses. It provides energy at the cellular level as opposed to over-dose stimulant products, which only jack up your nervous system. It contains the patented Carnosyn® (Instantized Beta Alanine) whichactivates enzymes responsible for generating muscle contractions & increases intra-muscular Carnosine, which is used by your type II muscle fibers for explosive movements like weight training and sprinting. Magnum OPUS® raises your cellular pH levels; having an acidic pH not only causes lower muscle mass, but can also lower plasma levels of IGF-1. Having an acidic pH is not conducive to building muscle. A key ingredient in Magnum OPUS® is a neurotransmitter in the central nervous system and of major importance to the creation of protein, peptides and creatine. WHO IS IN NEED OF MAGNUM OPUS®? Magnum OPUS® is the first workout fuel that you feel in minutes without any stimulants. 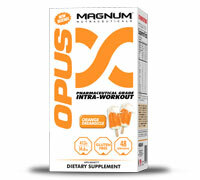 Magnum OPUS® enables you to train harder than ever before with no fear of losing muscle or energy production breakdown. This is a true revolution, one in which we move away from stimulants and nervous energy, and look towards awe-inspiring workouts powered by OPUS’s® Anabolic Energy! We recommend on the bottle to take your dose minutes before training (as the ingredients in Magnum Opus® absorb instantly and will take effect instantly). If you are over 130 lbs, take 2 scoops and if you are under 130 lbs, just take 1 scoop.